​​MOVING FOR LIFE DanceExercise for Health® is dedicated to helping people challenged by cancer and aging, through free and low-cost dance exercise classes offered at hospitals, health and wellness centers, libraries and other community-based sites. Applications for our 100-hour Certified Instructor Training Program are accepted on a rolling basis. We encourage dance educators, registered nurses, fitness professionals and movement therapists to apply. Learn how to motivate and guide movers of all abilities through sequences carefully designed for cancer recovery and aging populations, and join a community of concerned educators dedicated to helping others regain the joy of movement! All applicants will be notified within a week of their submission. We look forward to hearing from you! 48 hours – Theoretical Coursework covering Bartenieff Fundamentals, Laban Movement Analysis, Embodied Physiology/Body Systems, & Neuro-Motor Development. These courses are designed to help you assess your students' movement needs from a Dynamic Embodiment perspective. If you already have training in any of these topics, you may "test out" of the prerequisites or provide proof of successful completion. Demonstrate a good understanding and modeling of all 4 components of a Moving For Life class using somatic awareness: warm-up, main aerobic workout, strengthening & flexibility elements, cool-down & stretch. Completion of all assignments and demonstration of mastery of the training materials is required for Certification. This determination will be made by Founding Director /President – Martha Eddy and/or a senior MFL faculty member as designated by the Moving For Life Executive Director. ​Dr. Martha Eddy, movement therapist, movement scientist in exercise physiology and motor learning, dance educator and curriculum specialist created ​Moving For Life DanceExercise® for Cancer Recovery in 1999 and has led it to international recognition with teachers in the USA, Canada, the Netherlands, Denmark and Japan. For more information about Martha, click here. 1) Q: Do you offer scholarships? 2)Q: Does it cost anything to apply? A: No, It is free to apply. 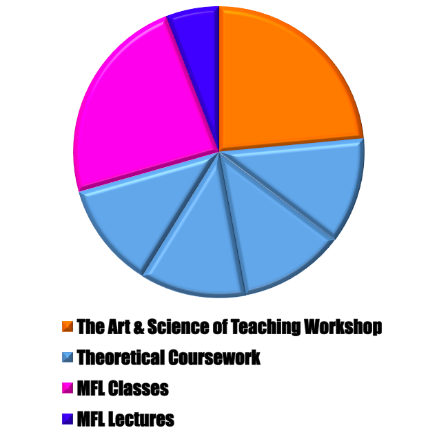 3) Q: I have already taken some of the prerequisite courses. Can these courses/fees be waived? A. Yes, you may "test out" of any of the prerequisite courses with a take-home exam or with proof of successful completion. Contact us for details at dana@movingforlife.org. 4) Q. Can I speak with Dr. Martha Eddy or Dana Davison? A:Yes! Please send a request to Dana Davison at: dana@movingforlife.org.